This is a children's book review blog, and a chance for readers to keep up with their favorite books in the Crypto-Capers and Joe-Joe Nut Series. This is also a platform for the Stories From Unknown Author's Radio Show. Thumperino Superbunny and the Pirates of the High Seas is the third installment in the children’s book series Thumperino Superbunny by Amber L. Spradlin. Thumperino is an ambitious rabbit who lives by a moral compass. His caretakers, the Red-Haired Lady and the Singing Man, take him on a vacation to St. Kitts. St. Kitts is a beautiful Island over 1,000 miles southeast of Florida. Not knowing much about St. Kitts he visits his friend Veronica who lives at the New York Public Library. They discover there is a veterinary research school on the island, which may hold secret clues. Once the trio arrives they do lots of sight seeing. One of their adventures is scuba diving in the beautiful waters. After they eat lunch they discover something. A fridge is floating towards them. They was strange, because they didn't see any garbage on their way out. Trying to grab as much garbage as they can with them as they return to shore, Thumperino finds himself wanting to solve the mystery. Why would someone pollute such a glorious place? He soon finds out that pirates have a hand in it as they search for treasure. Can Thumperino stop them in time by using the skills he's learned at the library before he has to walk the plank? This story is fun, creative, exciting and imaginative. The author depicts Thumperino, as not only an adventurer with great skills he learned from reading books in the library, but a relateable character who cares about the environment. Children will be able to relate to Thumerino's thirst for adventure and will learn much about pirates, treasure, and more. Though this can be a great educational tool, children will also love the mystery of the story and how it leads on to another adventure. This is a 68 page chapter book for children 9-12 years of age. The size is 8.5 X 11 inches which is similar to some comic books. Older children will like the feel of that. Being a superbunny with amazing skills like being able to fly, speak, and breathe underwater, it's the rabbits courageousness to fight for what is right and his determination that sets him apart from the rest. If fans like the other two books in this series The Diary of a Bunny and The Christmas Star Caper, then they will love what this story brings; a great moral and a captivating tale. Nice review, and it certainly sounds like an original theme. Thanks! It's unique and fun. Authors, Publishers, Publicists, I would be delighted to review your book on my site and interview your children's author on my radio show. 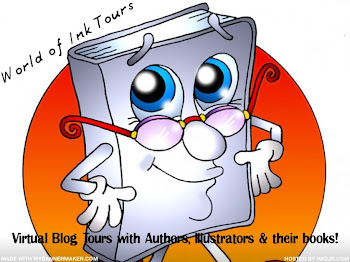 I am an award-winning adult and children's book author of interactive mysteries. My books are all educational, interactive and fun. I review for the New York Journal of Books and post reviews on several sites. Just contact me at thecryptocapersseries@gmail.com if you have any questions or to schedule an interview. In this story siblings Max and Mia Holmes, along with their good friend Morris, and their flamboyant Granny Holmes, are known asThe Crypto-Capers. They are a group of detectives who unravel crimes by solving cryptograms that criminals leave behind. Mia is an expert puzzle solver. Max is great at deduction and reasoning. Morris is a computer genius, while Granny...well Granny is the muscle of the group. Don't let her size or age fool you....she is quite handy. The Stolen Items: An antique sock and Prada sunglasses. 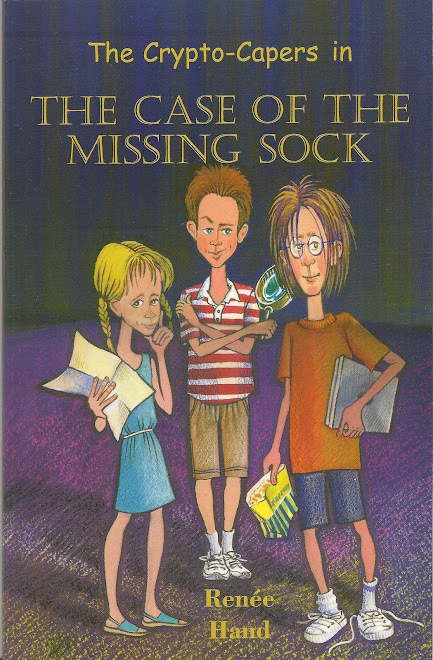 The Case of The Missing Sock leads the Crypto-Capers to Florida where they are hired by a man named Mr. Delacomb. The mystery leads the team to different locations. Clues flourish throughout the mystery. Suspects by the handful seem to be popping up at every turn, but who commited the crime? Help the detectives solve the case by solving the cryptograms and puzzles. Good Luck!